The Salming Twin Hairband is indispensable for every squash player with longer hair. The hairband prevents your hair from falling into your face during an active workout or tough match and disturbing your field of vision. These elastic hairbands fit perfectly on your head and stay firmly in place. 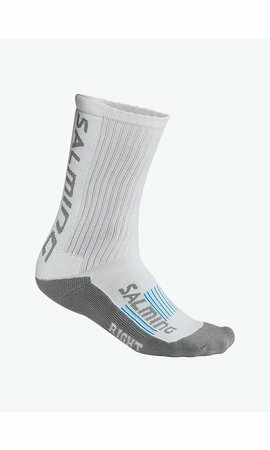 The Salming Twin Hairband has, as the name “twin” suggests, two identical thin straps that are tied together at the ends. On top of looking fashionable, this helps you to attach hairs of different lengths. In a package there are two different colours of Salming Twin Hairbands that combine well with the Salming squash clothing and other accessories. Indispensable for every squash player with longer hair.